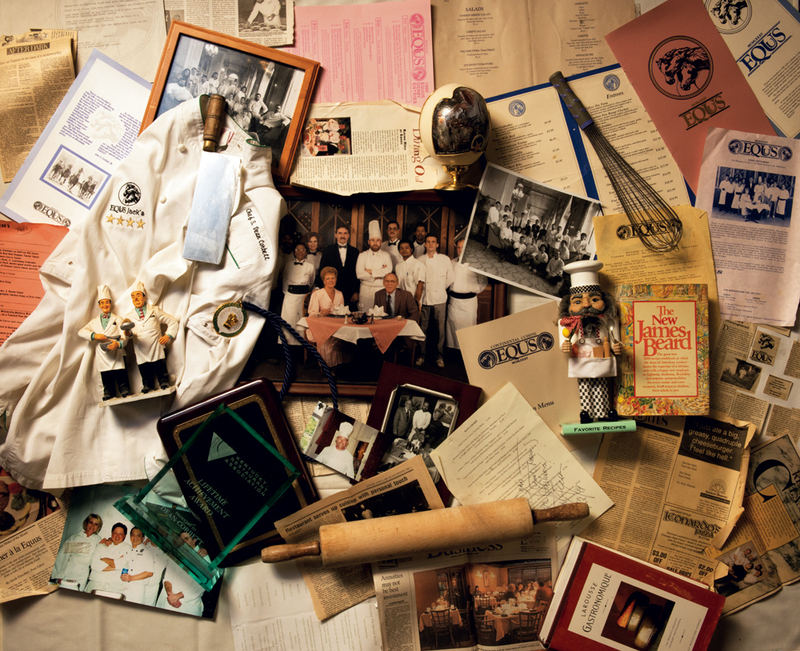 In August, Equus reached a milestone few restaurants in Louisville’s history have achieved: 30 years in operation. Some days Corbett admits to feeling like Methuselah. His back and feet ache constantly despite major surgery to repair both. If his body had an odometer, his Kelly Blue Book value would be junk. And yet his 53-year-old engine rarely idles. He’s always thinking about the next tweak to his businesses, which also include Jack’s Lounge and Corbett’s: An American Place. He can’t walk through his dining room without being greeted by a longtime customer. Equus as it looked when Corbett bought it in 1985. Corbett was just 23 when his father, Jack Corbett, invested $25,000 to buy a share of Equus from owner Rodulfo Pantoja in 1985. Pantoja and his family were successful real estate developers, but they struggled as restaurateurs, and their horse-themed eatery was an odds-on favorite to scratch if it didn’t source experienced guidance quickly. After a few months in business, they approached Corbett about becoming its chef, but in that first meeting, he demurred and pointed to his lack of management experience. Eager for the challenge, Jack Corbett convinced his son to take ownership together. 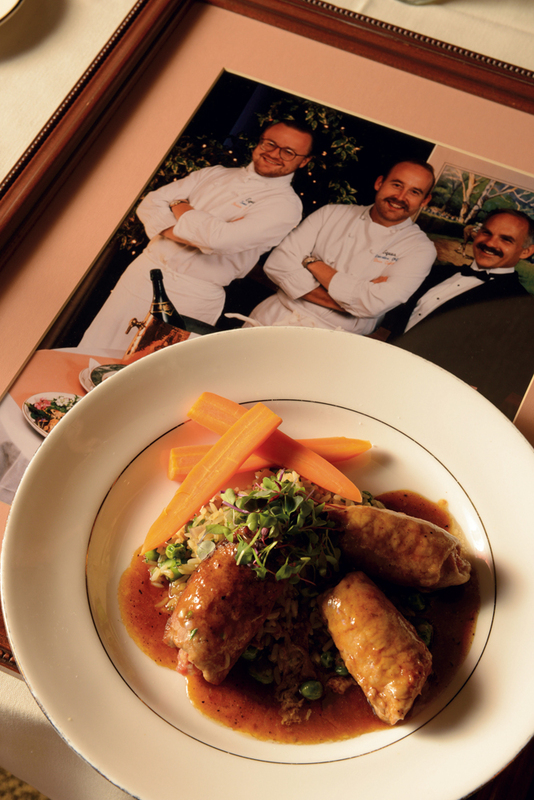 Veal scallopini stuffed with Genoa salami and Havarti cheese in a port wine reduction appeared on the menu in the 1980’s. Equus was in debt and losing money, leaving the Corbetts to cut its unprofitable lunch service and refine its dinner menu. Dean implemented policies and procedures learned during his two years working at Sixth Avenue and its sister restaurant, the venerable Casa Grisanti. Dominic Serratore, then Casa’s executive chef and Corbett’s boss, said his young charge was an exceptionally quick learner who was good in the clutch. Within two years, Equus’s sales had doubled and expenses were down by 50 percent. The Corbetts then bought a majority share in the business and made more changes. 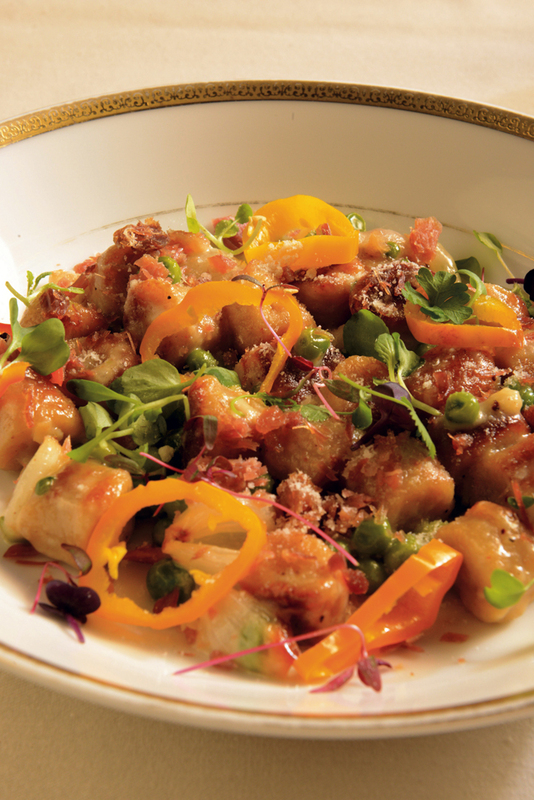 Parisian gnocchi with country ham. Another long-time crowd pleaser, the veal sweet breads with shiitake mushroom, has been retired. For months afterward, business at the 60-seat restaurant quadrupled, leaving the men no choice but to execute the first of what would become several expansions of the dining room and kitchen. The largest came in 2000, when Corbett opened Jack’s Lounge, named in honor of his father, who died in 1999. Even despite its opening night struggles. The swanky Jack’s Lounge opened on June 1, 2000. When the furniture truck arrived, Corbett recruited partygoers to bring it in. “I gave everyone who was sober — and there weren’t many — a pair of scissors or a knife and said, ‘Let‘s go get the furniture and move it in here,’” he said. Originally, customers entered Equus from the building’s left side and Jack’s through its center. But after a decade of explaining to frustrated patrons that the next-door businesses weren’t connected by a doorway, Corbett hired a firm to make the facilities one by cutting a hole through the 18-inch-thick firewall. 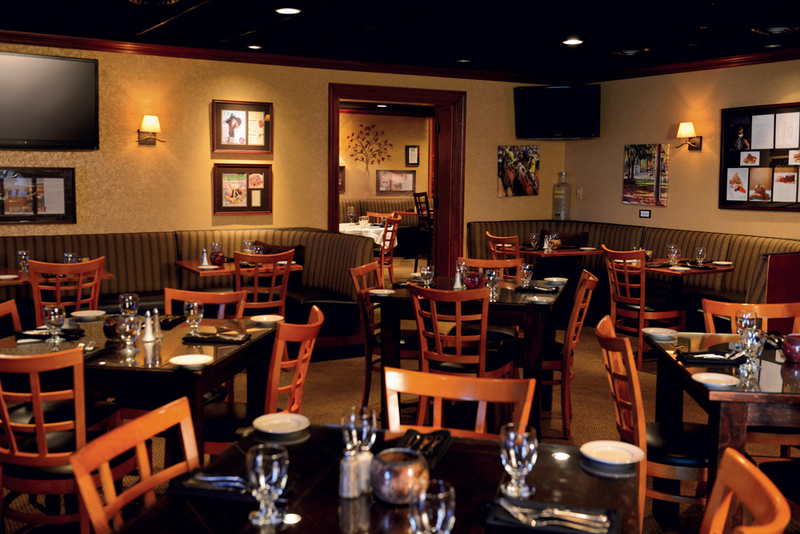 For almost a quarter century, Equus had been a white tablecloth restaurant, but connecting it to the more casual Jack’s Lounge helped Corbett see it was time to soften the formal edges of the old standard. 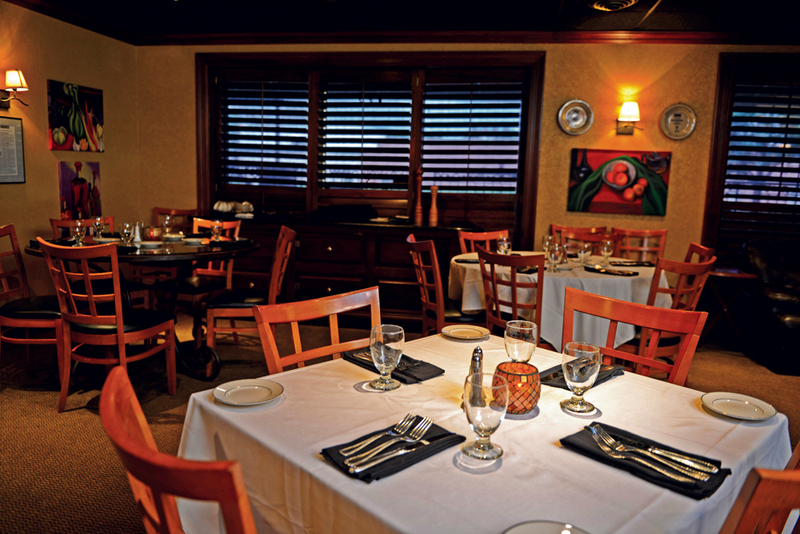 Kathy Cary, chef and owner of Lilly’s Bistro, made similar changes to her restaurant in 2002. Looking back, she said she regrets waiting so long. 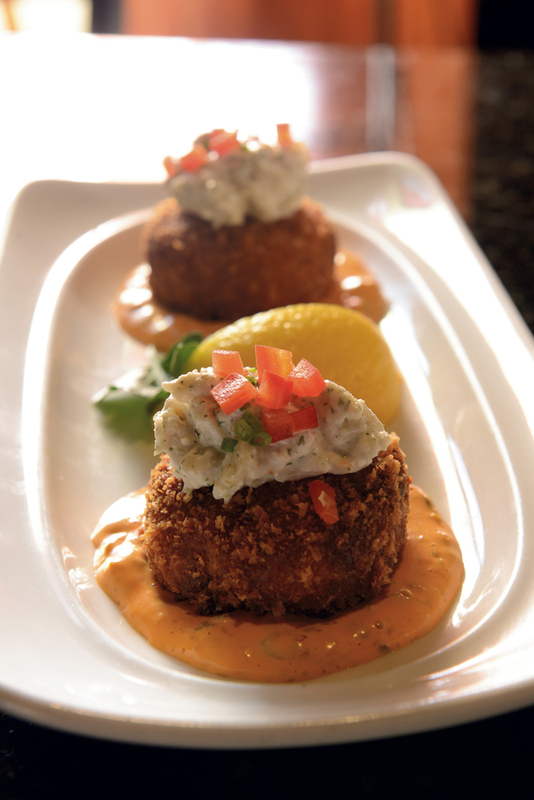 Equus’s crab cakes— Corbett estimates his restaurant has served more than 750,000 of the dish since he opened. Longtime Equus fan Thomas Clay said he’s seen Equus adjust multiple times to new trends, and on each occasion, those transitions were seamless. The Louisville attorney said Corbett was wise to merely tinker over time with Equus without overhauling its personality. Equus’s Mushroom Fumé has been on the menu since the beginning— some regulars say it has healing powers. Cover said Equus’ success was born of Dean’s and Jack’s desire to please customers, and that sentiment was shared by their staff. Veteran bartender Joy Perrine, an employee for 29 years, heads the cocktail program. 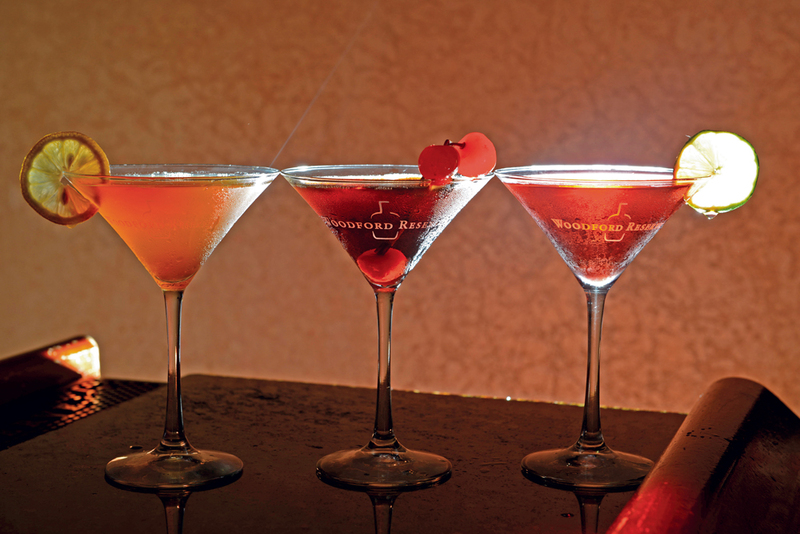 Pictured are three of her concoctions— (from left) Ginger Snap, Bourbon Ball, Ruby Red Slipper. Despite leading Equus for 30 years, Corbett admits that running even a busy, profitable business is harder than ever. Restaurant margins have shrunk drastically since 1985 as food and labor costs have soared. 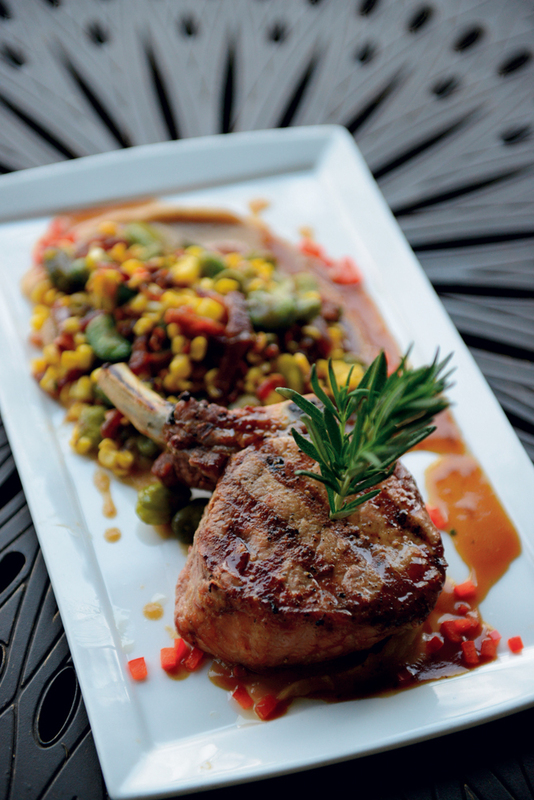 Pork chop with succotash, soubise and a Madeira wine demi. Customer desires also are more fluid than ever, he added, saying younger diners want smaller portions and more menu variety. Plus they expect high standards at the bar. 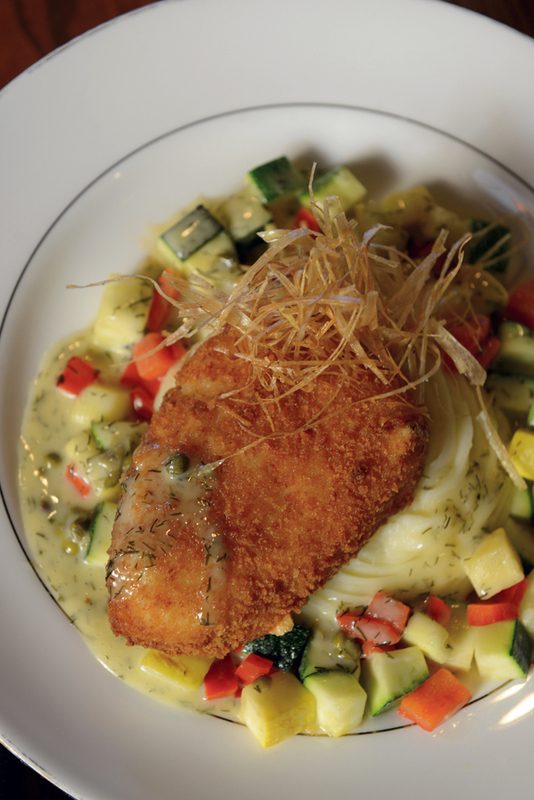 A favorite on the menu since 1994 is the Parmesan-crusted sea bass with whipped potatoes. Serratore applauds his former charge’s ability to adapt to changing trends, saying inflexibility to customers’ changing desires kills restaurants one quarter Equus’ age. Indeed it does. Every Monday through Saturday, cars begin filling the lot at 4 p.m., when Jack’s opens. 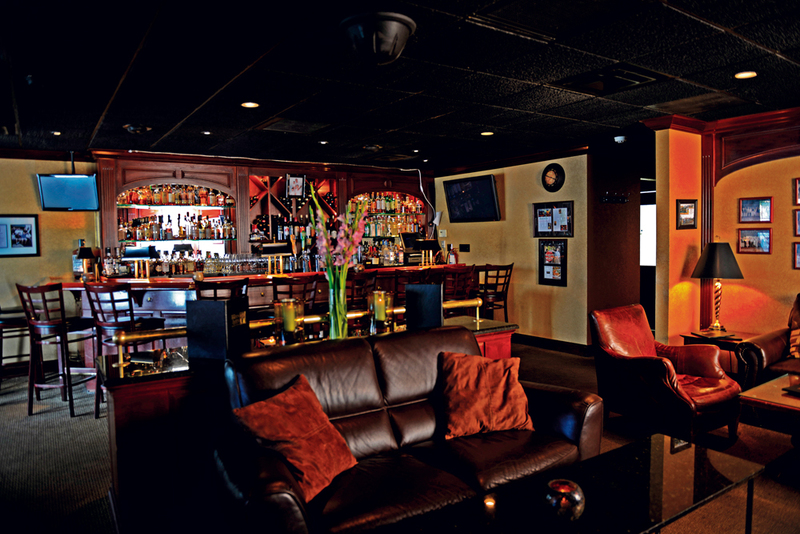 If patrons can’t get a cushy lounge seat at Jack’s, they’ll either stand or slide back to Equus‘ bar when it opens at 5. The drinks are just as good there, and the setting is quieter. That’s a mandate heard constantly by a slew of talented chefs who matriculated at Equus before moving on to other restaurants. Just a sampling of its culinary alumni still cooking in Louisville include Dallas McGarity (Marketplace Restaurant at Theater Square), Tavis Rockwell (LouVino), Nick Sullivan (610 Magnolia) and Finbar Kinsella (Lilly’s Bistro and later, St. Joseph’s Orphanage). Banana chocolate chip pudding with buttermilk icecream. 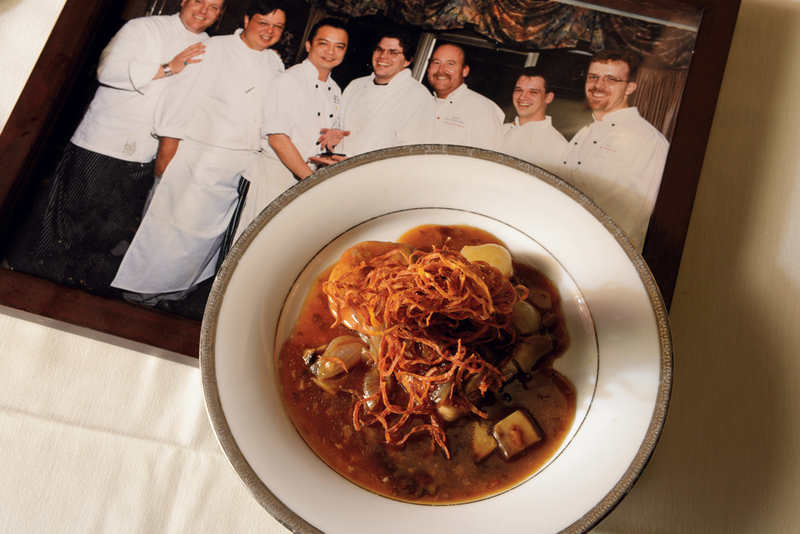 Cary said Corbett’s passion for cooking attracts talented chefs whom he inspires to grow and move elsewhere, just as he did. She said he’s also a de facto leader among the city’s independent restaurant chefs. 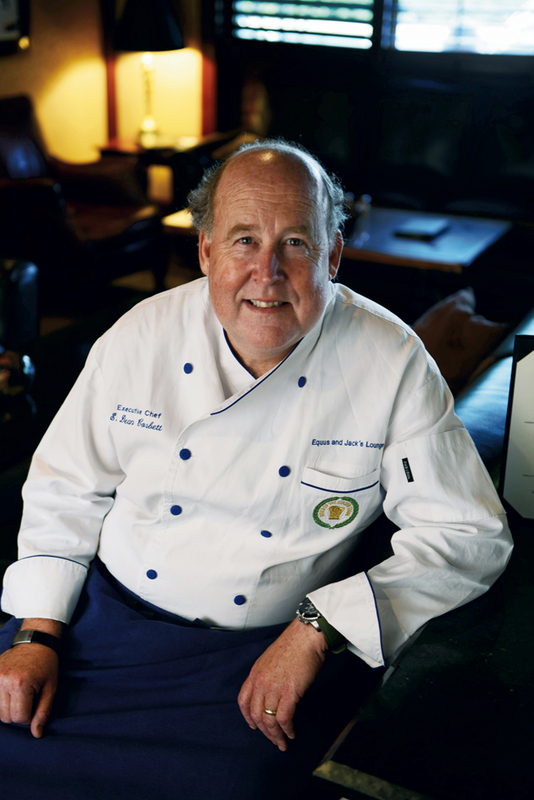 “He’s the connector among us, kind of the glue that holds us chefs together – the old ones especially,” Cary said. Corbett said he owes aspiring chefs the same mentorship he received from Serratore and many others. That means he’s constantly teaching newcomers at Equus.